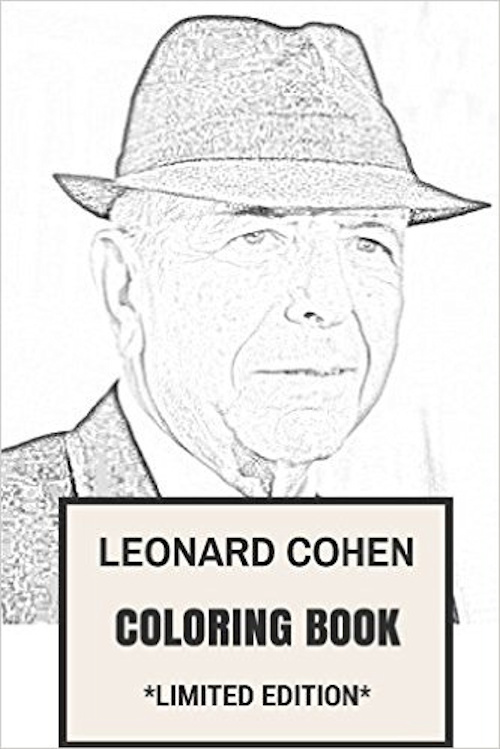 "Leonard Cohen Coloring Book: Epic Storyteller and the Great American Lyricist Tribute and Best Musician of All Time Adult Coloring Book (Adult Coloring Books)"
I remember that photo, Maarten. (Or a very similar one.) Awesome work! Very interesting !!! To use the black colour pencils of my grand-children (are always staying the longest) and I must have Fifty shades of Grey !!! Well, there is my dress up doll as well for those who feel inclined And it's free to play on or offline. Dominique has now the coloring book. Below are two photos of the contents. 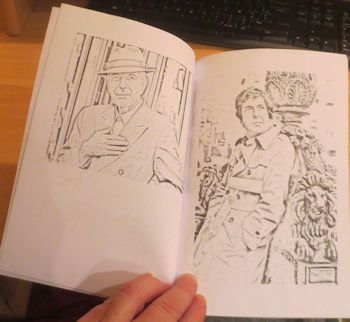 32 pages, "printed in Poland by Amazon fulfillment"
This looks ... exactly like I thought it would. Colouring books for adults are the last fashion in the field of relaxation. An efficient tool apparently, for some people. Why not ? 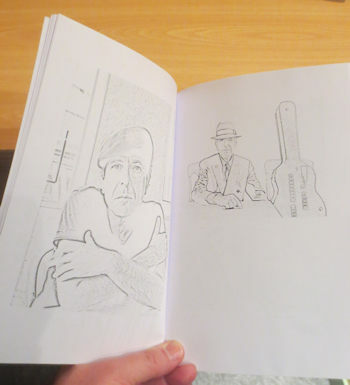 A Coloring book on Leonard Cohen may double the soothering dose! P.S. : Maybe boys around here could try to build lego Heroes in the seaweed ? Then ?